Package Designer Original rain-drop bottle with light aqua juice and cap. How you display your fragrance wardrobe is just as important as what's in it. 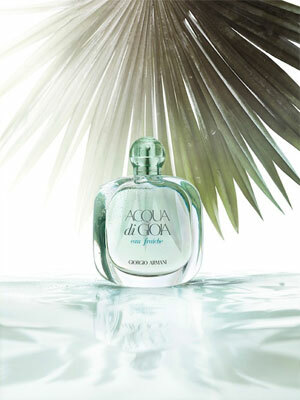 Here, match spring's freshest scents to your personality and style. 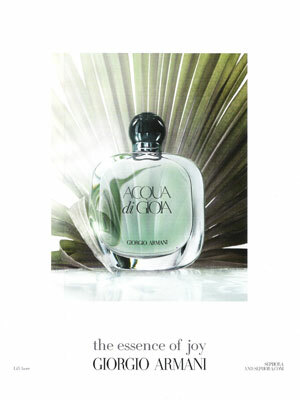 Minimalist -- Streamlined designs and light scents keep you rooted in your Zen space. 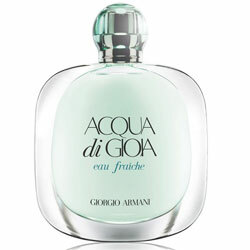 Giorgio Armani - Acqua di Gioia Eau Fraiche, $75 for 100 ml. 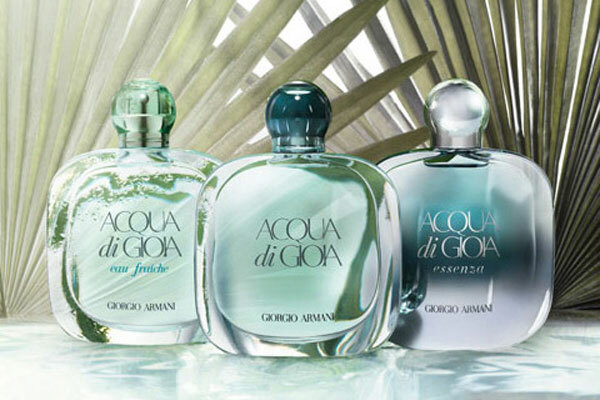 (giorgioarmanibeauty-usa.com).